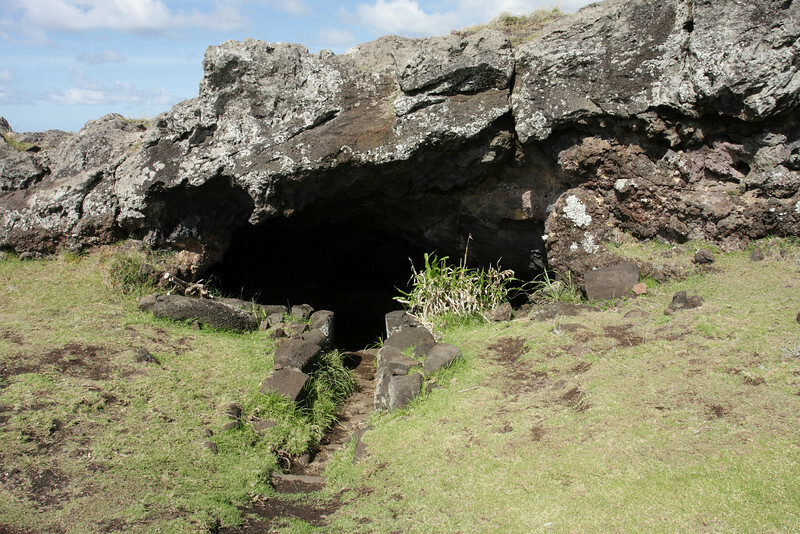 Around the coast are several hundred lava tubes or caves formed during volcanic eruptions by low viscosity molten lava. There is evidence that the caves were used extensively as refuges. Many have man-made entrances. This one is Ana Kai Tangata.